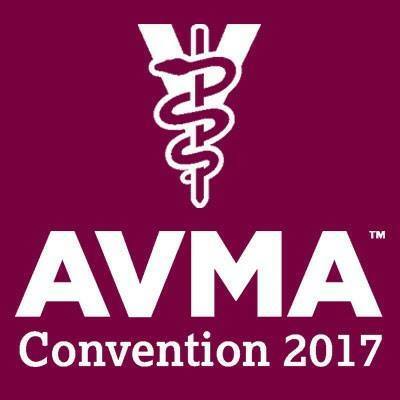 By exhibiting at AVMA Convention 2017, you support the collective voice of over 89,000 veterinarians working in private and corporate practice, government, industry, academia, and uniformed services. AVMA advocates for legislative and regulatory policies on the State and Federal level. AVMA upholds the high educational standards of schools that educate veterinary professionals. And AVMA maintains the industry code of ethics and guidelines of service to appropriately protect animal and human health. 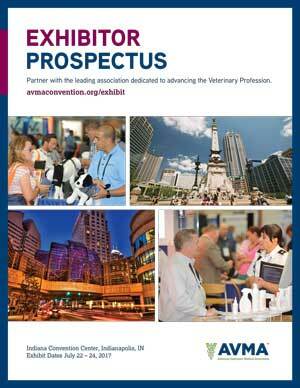 AVMA is the spokesperson for the veterinary industry! NEW! One (1) debit card ($15/card) to purchase food inside Exhibit Hall Cafe. Limit one per person. Card is not redeemable for cash and cannot be replaced if lost, stolen or destroyed. *The above benefits are for paid commercial exhibitors only. Exhibitor Badges - Additional badges for non-commercial exhibiting personnel may be purchased for $350 each. Additional registration information will follow assignment of space confirmation. Exhibitors receive up to four (4) complimentary exhibitor badges per 100 square feet of exhibit space (additional exhibitor badges are available for a fee). Upon booth reservation, exhibitors will receive a confirmation email with further details.